Have a question for Sam Stay? "The room is very clean." "It's highly recommended with it's perfect location surrounded by good foods & many shops." "The location is really close to shopping district and public transportation including ski trip (bus pick up and drop off zone), International Airport Bus stop." "Great location, comfortable room and very nice service!" Nestled in the heart of Hongdae, Sam Stay is an ideal spot from which to discover Seoul. Set from the excitement of the city, this 1.5-star hotel commands an excellent location and provides access to the city's biggest attractions. With its convenient location, the hotel offers easy access to the city's must-see destinations. 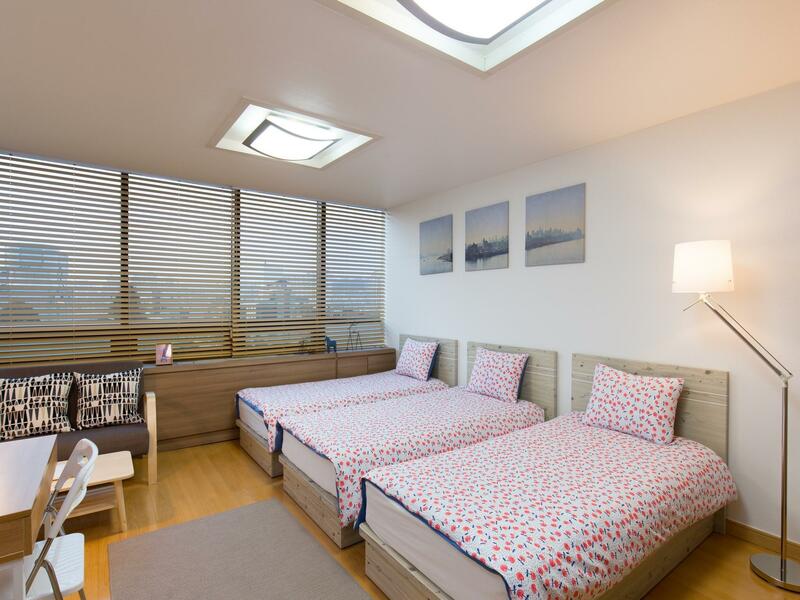 Sam Stay also offers many facilities to enrich your stay in Seoul. While lodging at this wonderful property, guests can enjoy free Wi-Fi in all rooms, Wi-Fi in public areas, concierge. Hotel accommodations have been carefully appointed to the highest degree of comfort and convenience. In some of the rooms, guests can find television LCD/plasma screen, towels, internet access – wireless, internet access – wireless (complimentary), air conditioning. Besides, the hotel's host of recreational offerings ensures you have plenty to do during your stay. Enjoy unparalleled services and a truly prestigious address at the Sam Stay. It's highly recommended with it's perfect location surrounded by good foods & many shops. The highlight of Samstay is the railway & bus station just right in front with lesser than 3 min walking distance. Will book with Samstay again if I come to Seoul. Aging facility and should either upgrade or lower the room rate. During our 4 days stay, we really enjoyed the living space and facility. The location is really close to shopping district and public transportation including ski trip (bus pick up and drop off zone), International Airport Bus stop. We'd highly recommend the place. Very convenient location, near Hongik Station exit 2. Friendly and helpful 사장님 who allowed us to deposit our luggage, easily contactable, can just text through WhatsApp. Room is spacious for 7 of us. The location is so great. It is just near the metro and the centre of hongdae. A lot of diners and shops nearby. Sam is very nice. I didnt seek for his help as I am very familiar with Korea but he would send me msg and asked if I need any help. The room is very nice, spacious and clean, exactly the same with the pictures. This is the place that I will stay again when I visit Korea next time. Basically, the room feels like a studio apartment with an in-built mini kitchen equipped with infrared cooker with hood. A full scale fridge and freezer is present. It's comfortable to say the least. Don't expect 5 star hotel facilities as this is not intended. Suitable for those who spend most of the time out of the room touring around. Hongdae is the area to go to in Seoul, pretty much like Shinjuku in Tokyo. Location is really good, near exit 2 with escalators, no need to worry if u have big luggage. AREX or airport bus can reach in front of Sam's stay. Very convenient with lots of restaurants, shopping nearby. Room is spacious and clean, just i would recommend one to bring ur own towel as their towel is bit small to my liking. It has heater in the room that kept our family warm in the cold weather! last but not least, thanks for Sam n Kim! 2 mins walking distance from the train station. Easy to locate the apartment building as there is a big signboard “21Magellan”. Good location near subway ,comfortable room and very nice service! Nice location and cozy room. Enjoyed the stay at here and will come back again for December trip. The host of guest house , Sam, is a very kind and nice person. :) He helped us many times if we have any questions and concerned for us everyday. Good location near subway Hondgdae no.2 exit. The location is super convenient! If you live here, you may not miss delicious food and shopping area.The room is very comfortable, clean and warm like our home. Absolutely, I will strongly recommend Sam Stay to my friend. Great location, easy to get food and shop around hongdae area! The owner is helpful and nice to see if we need help. Good to stay with family as they have kitchen as well. The location is just right beside Hongik university exit no.2. The owner sam is very nice and helpful. If we come to Korea again, we will surely choose Sam Stay again! Thanks a lot for the warm guesthouse Sam prepared for us. We like the room very much. 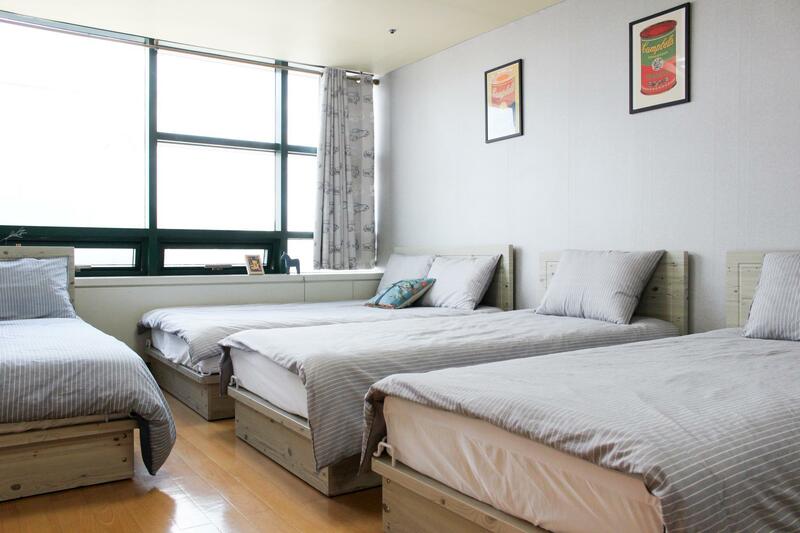 I recommend you come to Sam's guesthouse if someone who plan to stay in the Hongdae. Sam provided good care about us. The room is comfortable and tidy with enough facilities.